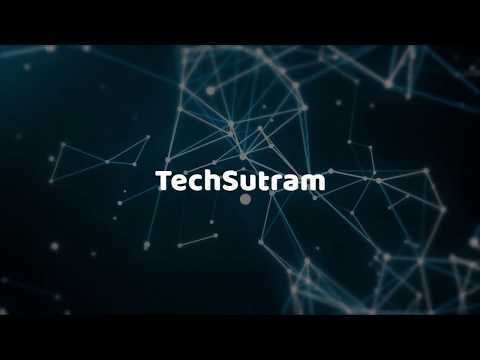 TechSutram was started in 2009 as a blog and evolved into a digital proposition in 2017. We felt a need to bring key insights, analysis, and guidance on the latest news in Blockchain / Cryptocurrency, Cloud computing, Artificial Intelligence (AI), Internet of Things (IoT), and Startups in these verticals, under a single umbrella. Our goal is to let people know how Blockchain / Cryptocurrency, Cloud computing, Artificial Intelligence (AI), Internet of Things (IoT), and Startup ecosystems are working together, affect businesses decisions and their impact on our daily lives. We strive to bring Precise, Relevant, Profitable and Decisive information (a Mantra) that you can use to make the right decisions in today's fast-paced technological era. Sign up for our newsletter to receive insight, analysis, and guidance on the latest into Blockchain, Cloud Computing, Artificial Intelligence, Internet of Things and Startups in these fields. If you are an authoritative industry thought leader/practitioner and would like to share your knowledge, experiences, and insights, we love to hear from you. Please read our contributor guidelines and contact write [AT] techsutram [DOT] com. We do not violate any copyrights, however, if you still find any improper content (possibly violating any copyrights) then please send email to write [AT] techsutram [DOT] com with subject tagged as [VIOLATION], specifying URL and a short note describing why do you think it violates any copyrights. It's highly recommended to read terms of service at TechSutram. We are thankful to our partners for supporting us. If we would like to partner with us, feel free to reach us at write [AT] techsutram [DOT] com. Use the logo and other brand resources without changing any colors and meaning. Trade Mark No. 3674921 registered with Trade Marks Registry, Government of India under Trade Marks Act, 1999, Section 23 (2), Rule 56 (1). Follow us on LinkedIn, Facebook, Twitter, Pinterest and YouTube for discussion, contents, and giveaways.